Part of the adidas® NEO Collection. 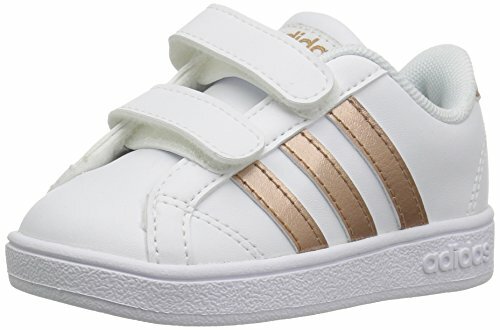 Your little one will have the coolest kicks in town! Leather upper with classic 3-Stripes design. Lightly padded footbed for added comfort and support. Dual hook-and-loop closures. Rubber outsole for great all-day traction. Imported. Measurements: Weight: 3.2 oz Product measurements were taken using size 5 Toddler, width M. Please note that measurements may vary by size. Weight of footwear is based on a single item, not a pair.